We hope you are safely tucked in with family and friends for this holiday weekend. Daniel took me on a date to see Hugo﻿ this evening. It was a magical film and a lovely night with my dear husband. We even had the theater all to ourselves. 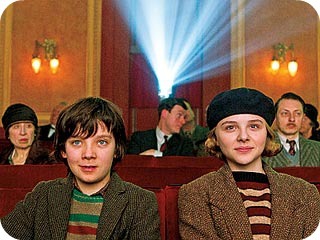 If you have a chance to go to the theater over the weekend, see Hugo. I think it will make your heart happy.